Welcome to Dr.Vijay Nair's Research Group. 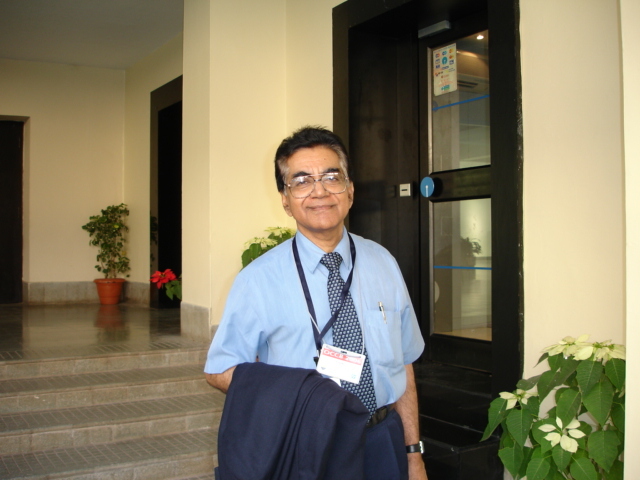 Dr. G. Vijay Nair F. A. Sc. Dr. G. Vijay Nair, born in October 1941 in Kerala, obtained B.Sc. (Chem) in 1960 from University of Kerala and Ph.D. from BHU, Varanasi (1967) and the University of British Columbia, Canada (1969). He carried out the post-doctoral work with Josef Fried (Chicago), Peter Yates (Toronto) and Gilbert Stork (Columbia). He started his career as Senior Research Chemist (1974) at the Lederle Laboratories of American Cyanamide Company and later became Principal Research Chemist (1987). He joined RRL-T as Deputy Director in 1990 and later became its Director (1997-2001). He has to his credit more than 200 publications being the senior author of a large number of publications in major international journals, 21 United States patents, many of which have world-wide coverage and guided 46 Ph.D. students.